Kitten N’ Lou Present: CAMPTACULAR! Get ready for the return of the wettest hottest American-est summer show ever, now in it’s 4th year! 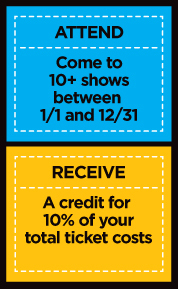 Kitten N’ Lou, the “World’s Show-busiest Couple” and internationally celebrated drag and burlesque duo, bring you a “brilliantly deranged” spectacle (TimeOut NY) that takes you to the campiest of summer camps, featuring an all-star cast of Seattle dance, drag, and burlesque icons including Stranger genius Cherdonna, international gender-blending icon Waxie Moon, Seattle contemporary dance stars Randy Ford and Markeith Wiley, Minneapolis drag sensation Victoria DeVille and very special guest star from Chicago, “The Honey Badger of Burlesque”….JEEZ LOUEEZ! ? Kicking off this summer: In the grand tradition of classic and awesomely awful American summer camp movies like Meatballs, Troop Beverly Hills, and Dirty Dancing, CAMPTACULAR takes you on a surreal, hilarious, and nostalgic trip to the great outdoors, where campers roast their weenies by the fire, tell bizarre ghost stories, frolic in sleeping bags, fall in love in the moonlight, and sneak into the woods….all culminating in the most epic camp “talent show” Seattle has ever seen…these shows sold out and had audiences raving last summer, don’t miss your chance to head back to Camp! 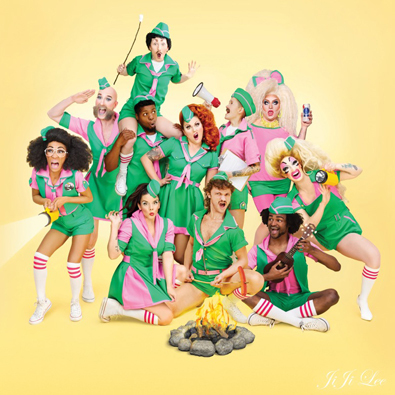 Starring a bombastic and diverse cast of internationally celebrated theater, drag, cabaret, burlesque, and contemporary dance tastemakers, CAMPTACULAR is the ultimate stand-up-and-salute extravaganza to escape reality and usher in the summer with a bang!